We over at Lucky Scooters pride ourselves on being one of the key contributors to the progression of freestyle scooter fork design that has occurred over the course of the last several years. Some of our most prized freestyle scooter fork designs that we have developed in recent years have led to major innovations in the entire sport of freestyle scooter riding as a whole. However, with all of that being said, there is still much to be said about our brand new, remarkably sleek, and extremely lightweight Lucky Scooters Huracan fork, which was only just recently released onto the freestyle scooter market. Not only is this brand new Lucky Scooters fork design extremely progressive in terms of its lightweight versatility, but along with that, this fork also just so happens to be one of the most durable freestyle scooter forks to ever be produced. Perfect for just about any terrain or obstacle, The Huracan is lightweight enough to easily be maneuvered around through the air, while also still remaining heavy duty enough to handle high impact situations. 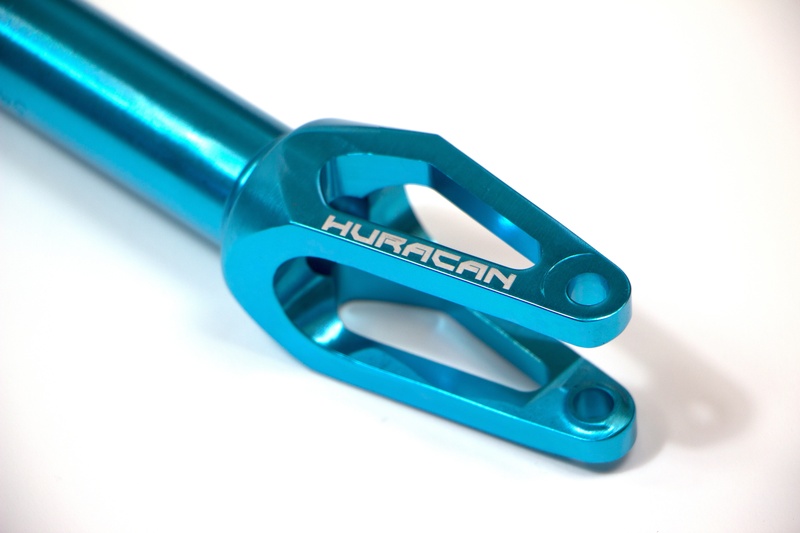 If you don’t want to take our word for it than simply just have a detailed look at the list of specifications that the brand new Lucky Huracan Fork comes equipped with, which has been provided for your viewing pleasure below. 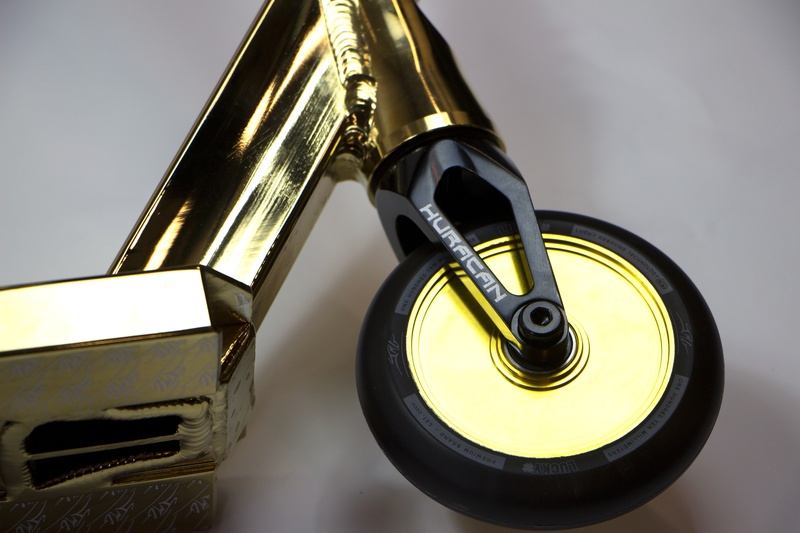 As you can clearly tell based on the very detailed list of specifications provided above, the brand new Lucky Scooters Huracan fork essentially comes equipped with just about anything and everything that any seasoned freestyle scooter enthusiast could ever ask for in a freestyle scooter fork. On top of that, one of the Huracan Fork’s absolute best features is its 120mm wheel compatibility, which means bigger wheels and a faster scooter for all of you speed demons out there. Its sleek design also makes the gruesome process of learning new grinding maneuvers much simpler due to its very slender fork legs, so for those of you young guns out there, who have been desperately attempting to learn that one grind, this brand new fork is the right one for you. Anyways, this fork is sure to be something spectacular, so make sure to go out and snag yourself one as soon as humanly possible, while supplies still last because they are guaranteed to be flying off of the shelves. 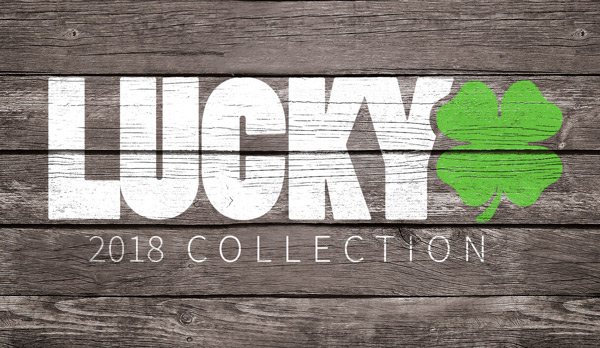 The brand new Lucky Scooters Huracan Fork is currently available at Lucky Scooters for the very affordable price of just $79.99, so don’t forget to get yourself one today. 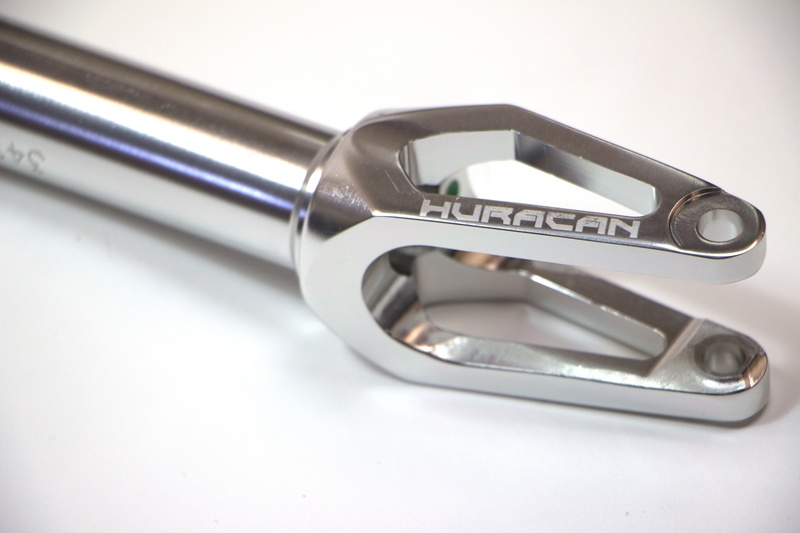 In search of a new Huracan fork? Shop HERE!!! Check out the rest of our product HERE!! !